When I was young, my mother loved working in the garden. She always joked that she had a green thumb while I had a blue one. You see, mine was constantly stained with ink from bleeding pens. All writers know this image. That weird callous on the finger from where the pen rests. The ink dripping down the cracks in the skin. If you don’t know what this looks like, take a minute to think on the gory scene. I actually wrote so hard that I made pens bleed. I took my journals into the patch of brush and trees behind our trailer home, and I wrote. 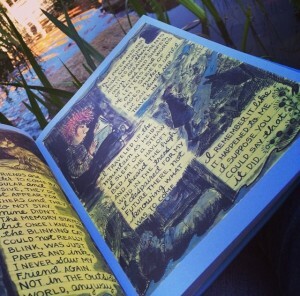 I found these journals recently. Pages and pages of poetry. Pages and pages of stories. I even found a floppy disk from high school. That’s right. A floppy disk that will never be opened. I’ve always known I could write. I just never knew what to do after the writing was done. Most things, I never shared. Most things have become the ghosts of digital past, lost like leaves caught in the wind. These forgotten stories still haunt me. When I finally made it to college, I wanted to be a Marine Biologist. I loved science as much as I loved writing, and everyone in my life agreed I’d find better work in the field of science. In all of my naivety, I thought I could work as a scientist, and write on the side. Unfortunately, I had trouble with math, and eventually, this turned me back to English. English was all academic, though. I wrote analytical paper after analytical paper that would never see the light of day after I got that sloppy A scribbled on top of it. At one point, I realized I hadn’t been writing for fun, and I took a creative writing class. I still held onto the dream that I was going to be a writer, but somewhere along the way I stopped believing it. I think it had something to do with growing up and becoming an adult. When I was young, no one told me adults forget to see reality within dreams. Nor did anyone explain that, after a certain age, it’s socially unacceptable to believe in these dreams. Despite the lack of explanations, it was modeled very clearly that adults needed to be more practical than that. So, what’s more practical than becoming an English teacher? That is what I did for seven years, but I was a hypocrite. I told kids they could do anything they put their minds to, while I did the opposite in my own life. I spent some summers trying to write. I thought I could pick it up in those months left over, but everything I wrote was complete and utter crap. I didn’t let anyone see it or read it, because I was just too embarrassed. To be honest, for the most part, I wasn’t truly writing much. I talked about it more often than I actually did it. I kept waiting for inspiration to hit me. I didn’t know yet that great writing came from habit– not inspiration, and the pages that were written are lost somewhere in the digital graveyard. Those stories haunt me too. Eventually, I did something more productive with my summers and joined a Masters program. Through Bread Loaf, I encountered two writing courses. That first summer, my professor explained, “You’re not a writer unless you write.” It was a duh moment. I called myself a writer, but I hadn’t written anything over the previous two years! I left that summer thinking, “I’m going to spend Wednesday nights writing.” I stuck to it all of three weeks until the reality of teaching set in. My writing nights became essay grading nights, and that year, little writing got done. The writing that did happen, like all the writing before, became lost somewhere. I didn’t know what was wrong with me. I wanted to be great, but something was stopping me. It was an unnameable fear. It was like I understood I was afraid; I just didn’t know of what. My fourth summer, I took another writing class. The professor was very clear about the type of stories he liked, and only workshopped the ones he personally appreciated. The first story I wrote got picked, and my feathers ruffled up like a peacock. All summer, there was a strange atmosphere of competition in the classroom, and I felt like I needed to prove myself. This internal comparison of myself to others made me defensive about my work, and it made me not want to share it. This feeling only amplified as my stories stopped getting picked for workshop, and other people’s works were picked on repeat. I’d shifted gears and began writing stories I thought would please the professor. It was never something he asked me to do, but I was nervous about my grade. I was worried about what he had to say about my writing, because he was a published author. Without knowing it, this man taught me the most valuable lesson of all when it came to writing. Writers can not be people pleasers. There will be people who like my work and people who do not, and I can’t take offense to either. When it came to criticism, even of the constructive sort, I needed to have a thicker skin, and I needed to be responsible for my own writing decisions. Even so, there was still this unnameable fear. 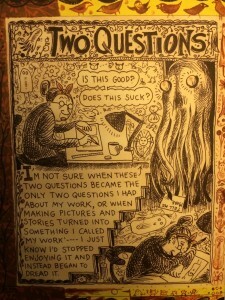 This summer, for my Digital Rhetoric class, my professor assigned us What It Is by Lynda Barry. 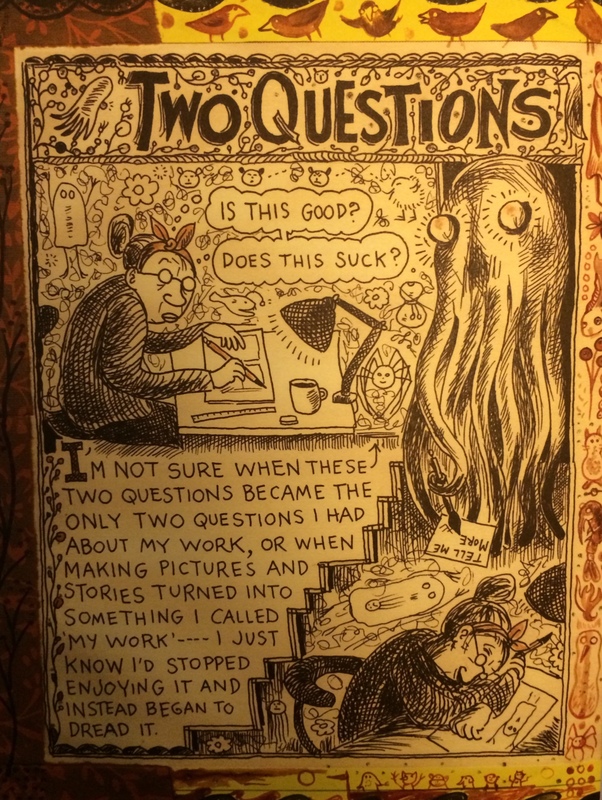 Written in a comic book format, I had no clue when I turned to the first page that Lynda Barry would be the one who verbalized my fear. She pointed out that there are two crippling questions that haunt us all. We’ve spent our entire lives being evaluated. Fighting for that A. Begging for that praise. We do things all the time so those around us think we are worth their love. I think it has something to do with validation. When a collective group of people agree on the goodness of something (i.e. our work) we feel like we belong. Suddenly, all the time spent on a work of art has not been waisted time. My first thoughts should have been, ‘You’re such a badass for releasing your first novel. Not everyone does this. You rock!’ Yet, instead of joy, I still felt fear. This past year, a lot of friends who like to write have asked me about my journey into this world. They tell me about their amazing novel ideas, and they have this hidden feeling that something is missing in their lives. They say the same thing I said my entire life, “I want to write. I want to publish.” I would still be at that point if not for some amazing mentors telling me to stop letting fear control me. It breaks my heart to know that most of my amazingly talented friends still hold onto this unnamable fear. The truth is, letting go of these questions is like holding your hands up on a roller coaster ride rather than clutching onto the handles. It’s exhilarating, even if it’s still terrifying. But for once you’re not holding onto anything. You’re letting it all go. I’m not going to pretend I have all the answers on this subject. Eighty percent of the time, I still encounter the questions of doom. I still have to climb over the mountain of crippling fear to pick up a pen and write until it bleeds. I still worry that someone, somewhere is going to absolutely hate what I’ve done. Luckily, understanding is the first step to healing. Maybe, as the years go by, I can push that eighty percent down to seventy-five percent. Then to seventy. I’m a work in progress. 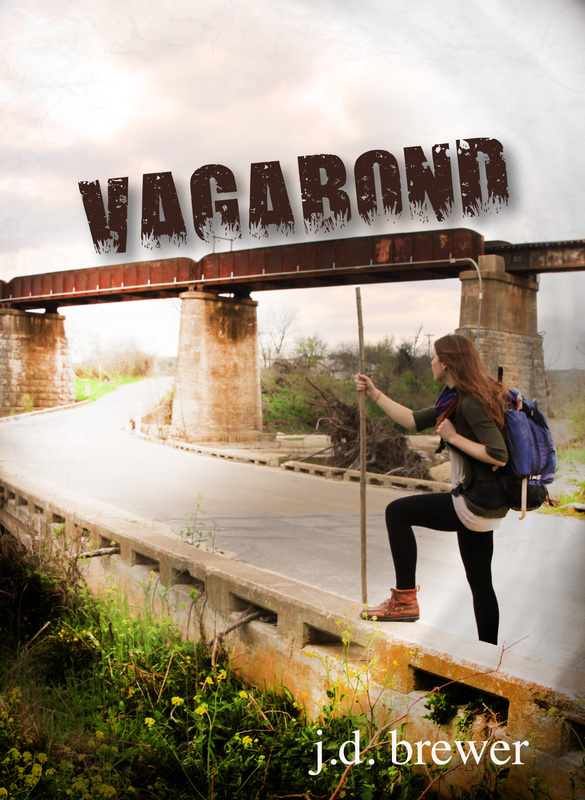 So far, people have been kind about Vagabond on Amazon and Goodreads, but I know the day will come. Someone will pick up Vagabond, decide it’s crap, and write something mean. I have a plan for that moment. I’ll let myself feel sad for five minutes, drink a glass of wine, and move on.